Singapore, every traveller’s paradise. What does Singapore not have? Entertainment - check, nightlife - check, family fun - check, shopping - check, a mix of cultures, food, theme parks, water barks, zoos, bird parks, all check. The list can just go on and on. So if you’re looking for an excuse to get your Singapore visa, you shouldn’t have a problem. But before you venture out into this island city you might want to get some information on it. It’s always better to know what you’re getting yourself into. Basic information never hurts anybody. 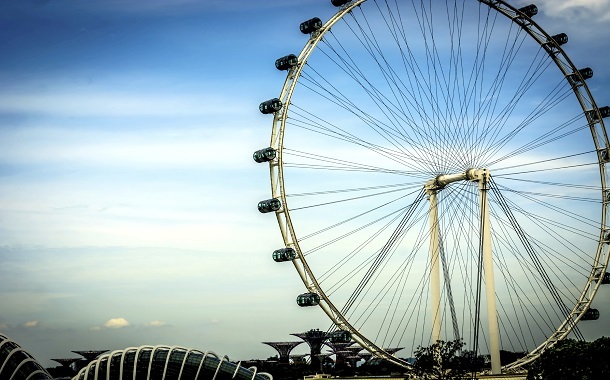 So here are some interesting, fun and unusual facts about Singapore. 1. Singapore is amongst the 20 smallest countries in the world. 2. As far as the geographical size is concerned, Singapore is a pretty small city. 3. In fact it’s so small that it has the infrastructure to support island wide 3.5G mobile and wireless Internet access. 4. Singapore has four official languages, English, Malay, Mandarin and Tamil, reflecting the mix of cultures that exist here. 6. ....And that was 80 years ago. 7. The Merlion (half lion-half fish) is the national personification of Singapore. 8. Singapore is often called as the Lion city despite there being no Lions found here. 9. The highest man-made waterfall is found here in the Jurong Bird Park and stands at 30 meters. 10. The highest point in Singapore is only 164 meters high, so it’s basically a very flat country. 11. The world’s first night zoo, the Night Safari can be found here. 12. The world’s largest bat, the flying fox can be found in Singapore in Pulau Ubin. 13. Singapore is known for some of its unusual food dishes like frog leg porridge or fried pig intestine. 14. Speaking of food, the Hainanese Chicken rice is the national dish of Singapore. 15, Singapore holds the record for the biggest ever game of passing the parcel. It involved 3918 students playing the game. 16. People often get confused regarding the exact location of Singapore, some think it’s in Malaysia and some in China. 17. The first ever Hug Me coca-cola dispenser machine, where all you need to do is hug the vending machine for a coke was established in Singapore. 18. If you ever forget the national anthem, you’ll find it engraved on the back of the 1000$ note. You might need magnifying glasses though. 19. There are only three city-states in the world and Singapore is one of them. 20. Last but not the least, Singapore has changed its timezone 6 times before finally settling on one.